Opened in 2016, Elizabeth Quay was a government initiative to link the city and the Swan River, with a fantastic community venue, complete with restaurants, cafes, family-friendly things to do; all combined with some fantastic architecture and art and amazing river views. The ferry terminals at Elizabeth Quay are easy to find and can get you to Rottnest Island, South Bank, Freo and The Swan Valley. The Little Ferry Co runs a fantastic ferry up to Claisebrook and back for those who enjoy a leisurely and environmentally friendly experience. A visit to the unique Bell Tower building and a chance to ring the historic bells are definitely a must. At night the tower is beautifully lit up and makes for great photos. The BHP Water Park is another great way to entertain the kids, where lighting and choreographed water jets create a fun space. The handcrafted traditional Venetian carousel promises a magical experience for the kids. Finally, the Elizabeth Quay Island Playground offers a great place for the kids to let off steam with a great nature play and climbing structures. Designed to be a giant circle and easy to get around, you can also experience EQ by Segway and Camel Ride. Definitely, one for your stories to take home. There are a wealth of great cafes, coffee stops and restaurants situated around Elizabeth Quay. For coffee and a casual snack, check out Rubra on the Swan, Boat Collective, Isle General Store, and Florence Hummerston Kiosk. V Burger Bar, Riverside Cafe, Cafe Paz, the Oyster Bar, The Lucky Shag Waterfront Bar, The Reveley, Isle of Voyage, Gusto Gelato, and Annalakshmi on the Swan all offer more substantial meals. Pop-up bars also regularly visit Elizabeth Quay. Elizabeth Quay regular feature some great events, including Ice Skating, concerts, pop bars, festivals, craft beer festivals and more. Visit the Elizabeth Quay events page for more information. From the striking welcome of the First Contact statue, the painstakingly moved bit by bit Florence Hummerston Kiosk, to mosaics referencing the original Aboriginal inhabitants of the land, there are many cultural and historical sights to see. 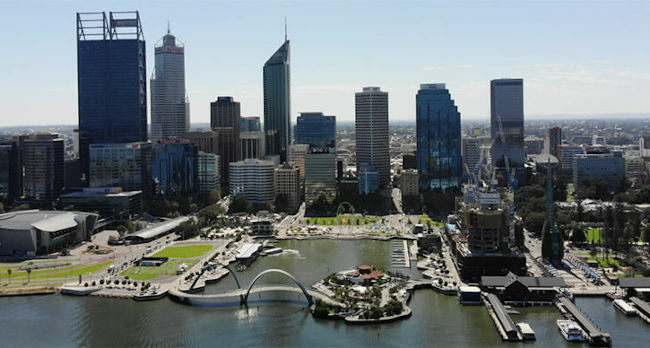 Elizabeth Quay is located on the edge of the Swan River, between Barrack and William streets in the heart of Perth. By train, Esplanade Station is your nearest station, or hop on the free Blue Cat bus which runs north from Elizabeth Quay. Alternatively, from South Perth, jump on the ferry at Mends Street Jetty (South Perth). To explore Elizabeth Quay with all you need to know, we highly recommend joining a Perth City Walking Tour, where you explore the city and end at Elizabeth Quay with a friendly bubbly tour guide. Alternatively, take advantage of the 20% discount on the Perth City Sightseeing Pass where you can visit the Bell Tower, enjoy a Little Ferry ride plus a guided walking tour of the city and Elizabeth Quay. In 2019, The mind-blowing Ritz Carlon will open overlooking Elizabeth Quay. Complete with amazing facilities and a rooftop bar with sublime views, the hotel will be an amazing addition for Elizabeth Quay. Find out more about new Perth developments for 2019 here.